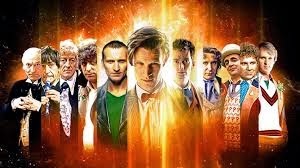 News at Spencer Public Library: Doctor Who? Yes, Doctor Who! Join us on November 22nd to celebrate 50 years of Doctor Who! We will have a special screening of the pilot episode, a Doctor Who photo booth, Delicious DW themed snacks, Doctor Who games...and more! Costumes Encouraged!November 22nd at 7:00 pm. Please pre-register at the front desk or by calling the library at 712-580-7290.